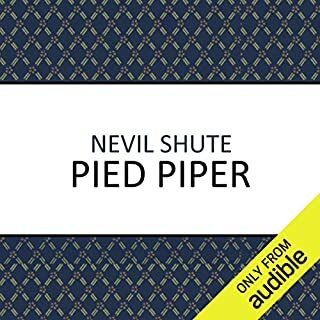 ©2009 Nevil Shute (P)2014 Audible, Inc. This is a gripping, moving, thought provoking and deeply enjoyable novel written by a master story teller and read by a superb and sympathetic actor. Bravo! I would recommend any of Nevil Shute's books. Shute brings air travel and distant places in the 1940's-50's to life and makes it interesting! Have you listened to any of John Telfer’s other performances before? How does this one compare? This was the first. He was well suited to the book. I'd listen to him again. Who was the most memorable character of Round the Bend and why? I'd say the narrator, which may seem odd to some. Yet it was Shute himself in many ways, exploring his beliefs through the guy telling the story. I find Shute to be one of the best writers and much overlooked. His blending of engineering, flying, fascination with many places and his ability to tell a story are superb. He champions the "little guy or girl" who just gets on with life, not complaining or seekking glory, but just living decently, if not always wisely. He is self deprecating when writing about himself, and his characters come through with true likeableness even if you wouldn't believe as they do. Shute considered this his best novel. Though I thoroughly enjoyed it, as did my husband, and will read it again, I don't agree with the author. Trustee From the Toolroom and A Town Like Alice are his best. This is why I gave it 4 stars. Zen and the Art of Airplane Maintenance? Actually a spiritual book in all the ways that count, but told in highly digestible story form. It is an thoughtful, believable portrait of the development and life of a "holy" person, viewed through the eyes of his contemporary. Where does Round the Bend rank among all the audiobooks you’ve listened to so far? What was one of the most memorable moments of Round the Bend? this is a story which grips and fascinates, from a master story teller! Everyone should be reading Nevil Shute if they want a good satisfying-and long-read! Disclaimer: this is being written by an avid Nevil Shute fan. That being said, this is Shute at his best. If you've never heard of him, or only read A Town Like Alice, then give this one a try. You just might be fortunate enough to become a Nevil Shute fan too!! The reader is also excellent. I probably wouldn't have finished this book nor given Round the Bend more than 2 stars if the author hadn't been Nevil Shute. I am a great fan of Mr. Shute's books. Unfortunately this story was not one of his best. Round the Bend is actually the worst book out of the 7 Nevil Shute novels I have read. Jeff Telfer did a good job narrating the story. His female voices are a bit weird but over all he did a fine job with all the different accents. Would I recommend Round the Bend? There were moments when Nevile Shute's great storytelling broke through but unfortunately those moments were few and far between. For the greater part of the book I wanted to shout at the main character to get on with his life. Bottom line, if you are an avid fan of the author, have a go at Round the Bend. Otherwise don't waste your credits when there are so many other fine books written by Nevil Shute. Perhaps this book resonated with me because I've recently been to several of the countries of the setting - or perhaps because of the glimpse of history it offers, or maybe it was Shute's philosophy - but whatever it was, it grabbed me. A glimpse of the Asian world of post WWII, the growth a start-up aviation business the start of the middle East oil boom, the western world-view of Asia in 1945, and Neville Shute's philosophy of the the holy character of excellence in one's work, all meld together and produce an unusual, original story with memorable characters. It was an unexpected delight. 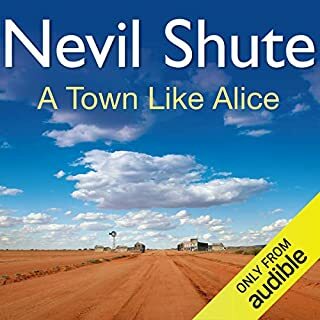 I had just read A Town Like Alice, also by Neville Shute, and wanted to explore some more of his work. Round the Bend is quite different, but both are excellent, satisfying stories. to have listened to this marvelous book, narrated expertly. My favourite audiobook is probably Shanteram and I'd put this one second. It got a little unbelievable at the end, but it's well worth listening to. 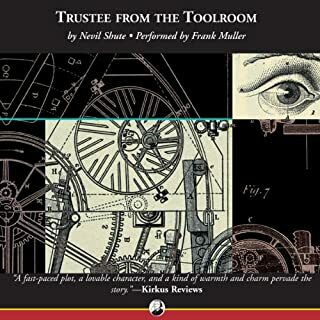 I liked the other Shute stories (Pied Piper, Town Called Alice, Trustee for the Toolroom) better, but still glad I found Shute, glad there are more of his to go. 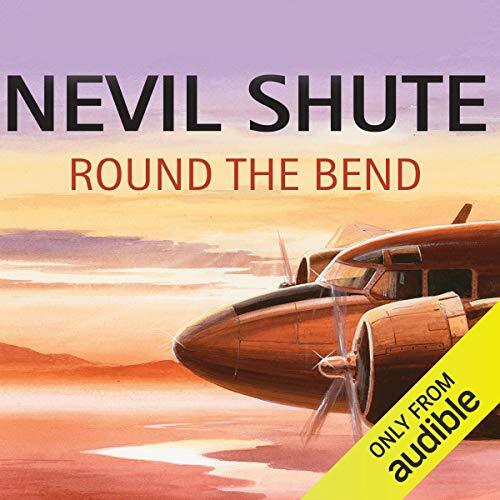 As an enthusiastic fan of Nevil Shute, I was surprised and disappointed with "Round the Bend." The only words I can find to describe my reaction are "Is this story never going to end?" It was tedious and very boring compared to his others. There was scarcely any plotline. I kept waiting for something to happen, but it didn't. This has to be my all time favourite Nevil Shute book though this is in part is due to its subject matter. I came across it rather unsuspectingly years ago when I had read most his other work and was completely astounded and uplifted by the originality of its story. It left me wishing that I too had lived through and experienced something similar myself, and in that sense it acted as an important waypoint on my own journey to the real thing. This book has the traditional feel good factor that one expects of a Nevil Shute though here it grows slowly but steadily through the book until it peaks at the very end. It is not a book that will be to everyone's taste, I think. Firstly, the theme of the book will not attract those for whom religion or spirituality is not a wished for part of their life, and even then it will require a degree of open-mindedness to draw the most from it. 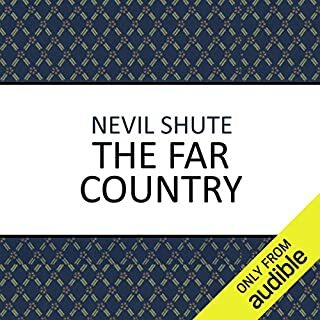 Secondly, it is set in the austere days of post-war Britain and though as always Nevil Shute catches the mood so well, it is a world with few parallels to the hectic lives we live these days. Nostalgic it might be but there are also very occasional non-PC views expressed in the dialogue that can make you raise your eyebrows; however, if you take these to be an honest reflection of the signs of the times they will not detract from the tale. Listening to the story again, read so well by John Telfer, I have discovered new joys that I had rather glossed over before. I do not wish to say too much about the story because I would like it to be the delightful surprise for the newcomer as it was for me. What I will say is that the philosophy of Shak Lin is generally on message and in keeping with the discourses of greatest teachers of our times. It is a book to be enjoyed and to be inspired by. Maybe it could be a waypoint for you too? Nevil Shute writes good prose and good stories. His theme is often the triumph of human decency under pressure. This story is very relevant to modern life. It concerns the meaning of everyday life and work, the moral challenges of new technology, and the corrupting power of money. You don't need to have any religious belief to find these things important to us now.The period setting is unfashionable at the moment but after all, all past periods are dated. The reading is absolutely excellent with all the characters having their own voice and accent. Beautifully transferred to audio. This is one of Shute's greatest novels a pleasure to read and to listen to, as the narration was first class. if You're Going Round The Bend Can I come too? I thought that this would be a funny book because of the title. When I saw the title it made me think of the above saying. This brings a new meaning to the saying 'never judge a book by its cover'. One credit wasted. I was unsure if this would be for me as I’m not a particular fan of planes and am not a religious person, but I took a chance on it based on the reviews, the narrator, and the fact that I’ve liked a couple of Shute’s other works. I’m glad I did as I really enjoyed it. I found it engrossing; it beautifully captures so many places in the world in the post-WWII era and the characters are not only interesting and believable, but likeable (which may not be in keeping with today’s trend of anti-heroes, but to me was a breath of fresh air). I’m certain I’ll relisten to this again - very pleased with this addition to my audible library. A surprisingly warm and engaging narrative voice, even if he’s a bluff air mechanic. The narrative shouldn’t really work, it is after all an account of a chartered air service and how the business thrives (mostly) but I was really caught up with Shute’s work and then when you add the religious and race elements, it really starts to jig along. I was also inspired to look into Shute’s own life, and I suspect his knowledge of this field brings a realism to the writing that I didn’t realise was there. A surprising hit.